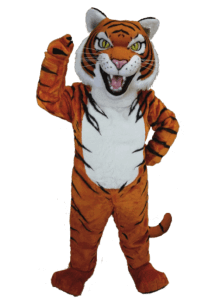 Mascot costumes for use by high schools, colleges, universities, elementary schools, as well as costume rental shops, including Lions, Tigers, Panthers, Eagles, Wolverines and more. 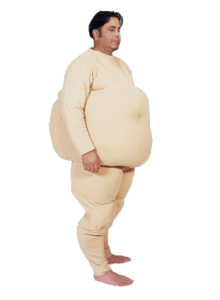 Accessories for your mascot costume: Cool vests to keep you cool, totes to transport your mascot, extra fans, feet and mitts are also available, as well as muscle and fat suits! 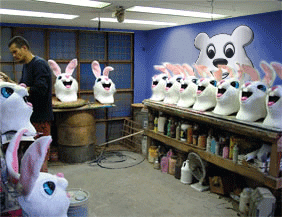 Each mascot character is uniquely designed, sculpted, manufactured and hand-painted by our team of skilled artisans. 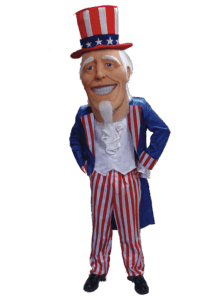 Our mascot heads are constructed out of light-weight, molded foam and latex for superior durability and detail unmatched by rigid construction techniques. 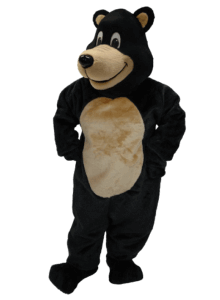 Each mascot head comes with a screened vision panel that allows you to see without being seen, extra ventilation panels, and of course, our exclusive built-in fans to help keep you cool! 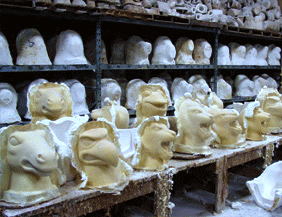 Most mascot heads are available seperately. 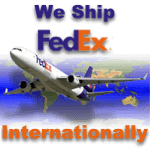 For more information, simply Contact Us. DON'T BE FOOLED BY IMITATIONS OR CHEAP FOREIGN IMPORTS! 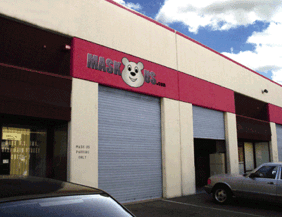 All Mask US, Inc. mascot costumes are designed and manufactured in the United States at our San Diego, California facility. 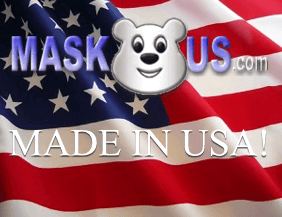 So whether you are buying directly from us or an authorized distributor, Mask US mascot costumes are only and always made in America! What do you do with your mascot? 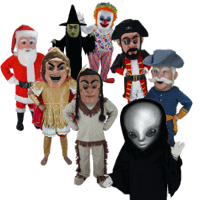 You can see many of Mask US, Inc's mascots at a sporting event, on TV, in movies, or just standing on the corner. Here is our Fierce Eagle at Northside High School strutting its stuff. 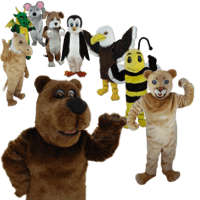 For more videos of our mascots in action, as well as an interview with Mask US, Inc's owner, David Bragg, visit our Videos page.